La Melusina is an ancestral figure of medieval romantic literature, a fairy with the body and legs of a woman, and the tail of a fish. In the popular imagination, she represents the power of love, even in its most tragic aspect. This house is named after her. An ancient sculpture of the thirteenth century is carved in the lintel that depicts this mythological creature. considered an expression of authentic femininity and freedom. La Melusina is a stone and brick structure from the early 19th century and a magnificent example of rural architecture of the Marche region. It is located on Contrada Fanà, just 1 km from the town of Comunanza (448 meters above sea level) at the foot of the majestic Sibillini mountains, in the central Italian Apennines. 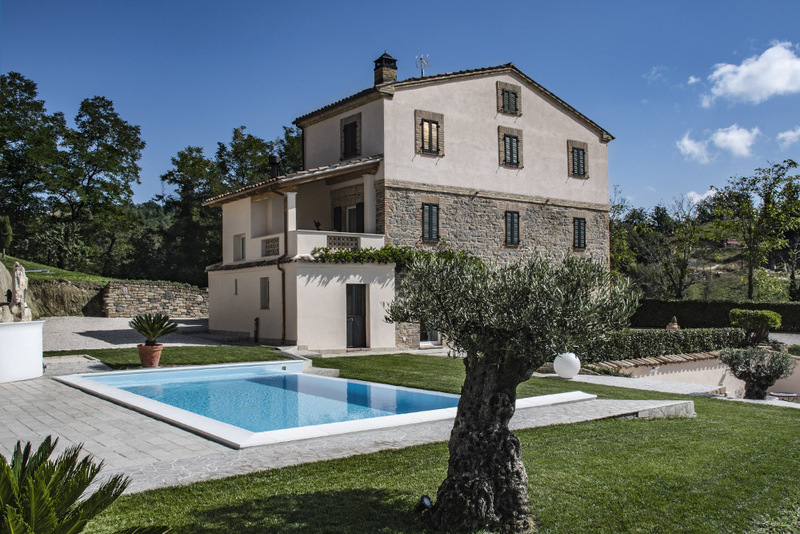 The house has recently been skilfully renovated, strictly maintaining the typical style of our region’s country houses. La Melusina is a Luxury Rental House, not only because of its elegance, refinement, sobriety of environments and its precious comforts, but above all because it offers you true luxury: freedom. 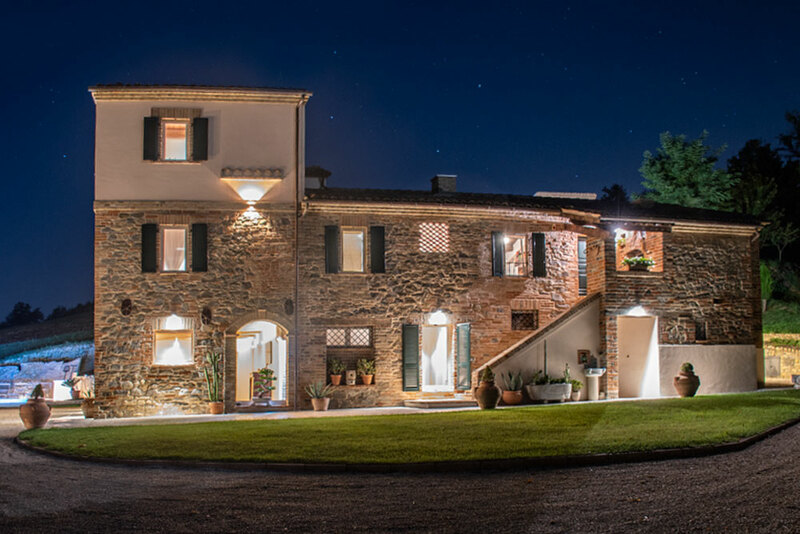 With us you can enjoy your holiday, together with your loved ones and friends, in absolute freedom, in the quiet of the sweet Marche countryside. Your time will be your own, your days filled with more relaxed rhythms, so you may rediscover your intimacy with nature and, perhaps, even with yourself. 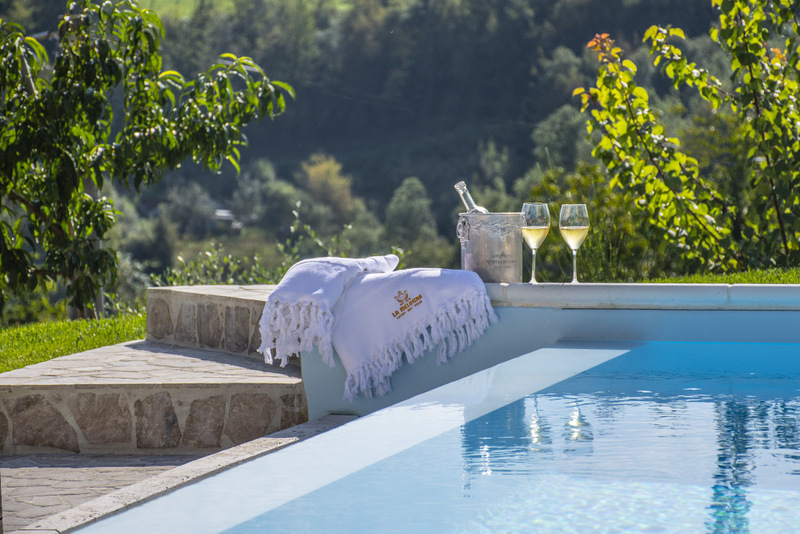 Surrounded by ancient stones and ancient olive trees, you will enjoy a large garden, the warm mountain sun, the swimming pool and the relaxation area with whirlpool, where you will forget the stress of your hectic life.